A couple of spiritual experiences I had in regard to the Face of Mars, and some ruins. 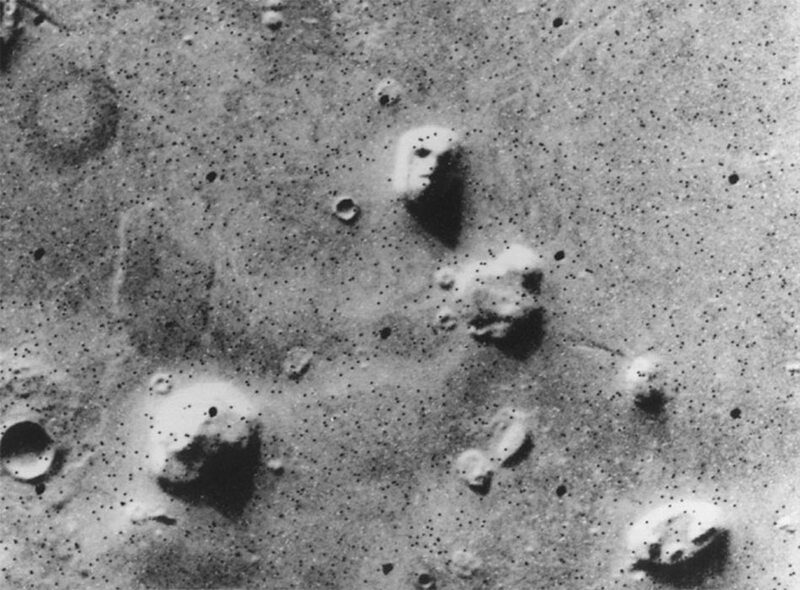 There is much debate about the so-called Face on Mars, a feature of a face that is present on the surface of Mars, in the region of Cydonia. It showed up in a couple of pictures taken by the Viking spacecraft orbiting that planet. The face appears to be cut from a mesa that is about 2 km (1.2 miles) long. It is situated at 40.75° north latitude and 9.46° west longitude. Later on Nasa released other pictures of the Face, trying to disprove that it might be an artificial structure. On the other hand, researchers have pointed out these pictures do not show the original photos, but photos that had been run through different software filters distorting the original versions. NASA has always claimed that it is nothing but a trick of light. Others who have examined the photos with computer software claim that it is an artificially sculpted mesa. 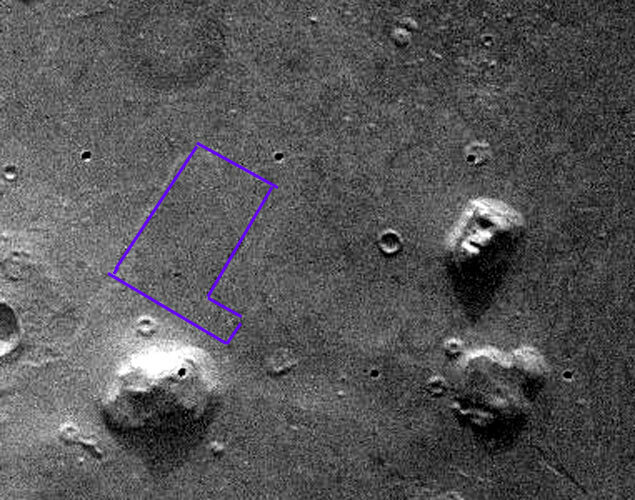 Near the Face and in other areas of the Cydonia region, there are multiple pyramids, and signs of buildings. At least what is left of them. You can look on line for the NASA pictures. Researchers have analyzed them in detail. 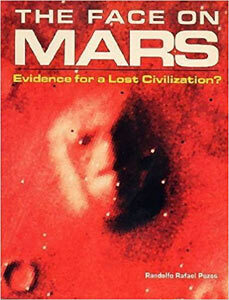 In 1987, I read The Face of Mars, by Rafael Rabdolfo. It left me in awe and wonder about this new mystery and possible implications about intelligent life in the universe. This activated a psychic link to that subject. I have to add here that in the past I have had sporadic psychic experiences. That night, after reading the book, an unusual experience occurred to me; totally different from my usual dreams. From extensive dream work in the past I am able to distinguish different types of dreams, and the following experience was totally different. It was short in duration (maybe ten seconds), my consciousness was very clear and lucid, my observation was detailed, and I perceived everything in color (my ordinary dreams are always in black and white). 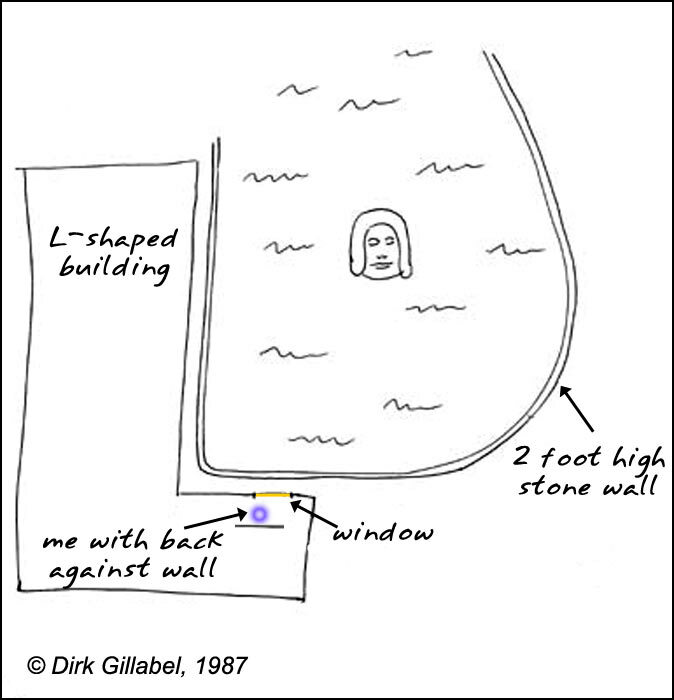 During those ten seconds I stood in a building, of which I felt I was in the smaller part of its L-formed shape. My back against the wall, I was looking out of a large window. Outside was the “Face on Mars”, not as it is today, but as it was long time ago when the Face and the building were still intact, and undamaged. The Face stuck out above the water level, in the center of a bay area. The bay might have been natural of origin, but the edge of it was (at least the part that I could see) finished with a small stone wall, approximately two feet high. The building I was in was at the bottom left of the bay, and a small walkway separated the building from the bay. That was it! 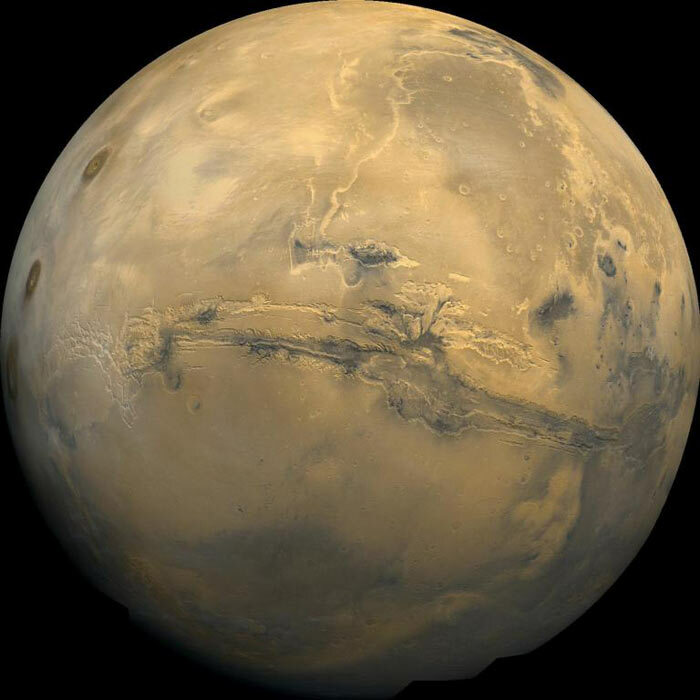 A very short, but clear and lucid experience of an ancient Martian scene. To me it was not a dream. I experienced it as if I was really there. It seems that some kind of memory in my unconscious was triggered by reading the book. Maybe it was a memory from my own past life on the planet Mars in those long forgotten days. Or maybe I was tapping into the Akashic Records and experiencing somebody else’s past life. A couple of months later I felt the urge to make a pencil drawing of the Face, based upon enlargements of the first NASA picture. The resolution of the pictures is not that great, and the Face has well eroded after millions of years. I felt the original features of the Face could be brought about by intuitively tuning into its appearance at the time when Cydonia was still inhabited by intelligent beings. 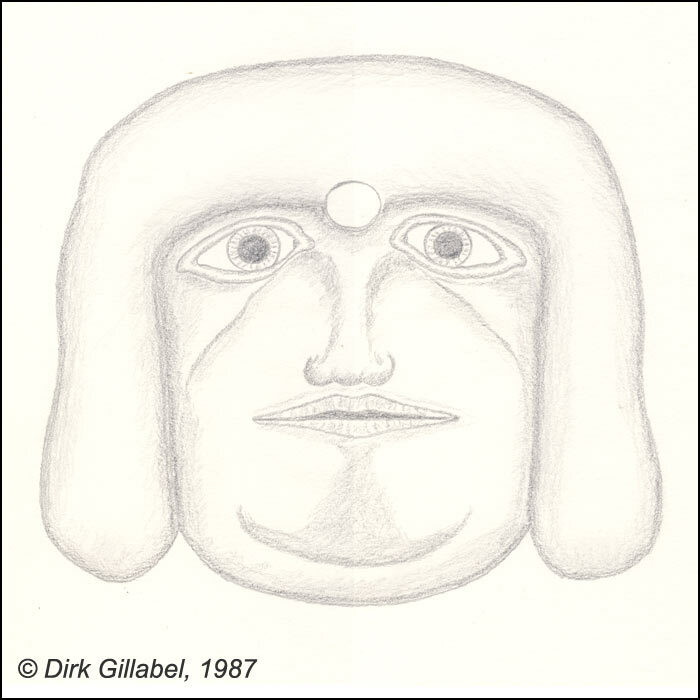 When I was drawing the face, and thus fully tuned into the structure, an strong urge made me draw a circle above the nose. I got the impression that at this location a round platform exists which is an integral part of the stone sculpture. One would stand on it in order to look clairvoyantly in any direction and in any distance. The platform would considerably enhance clairvoyant abilities. At a later date I had two dreams which gave me more information about the Face. In one of them I was floating above the present day ruins of the Cydonia region. 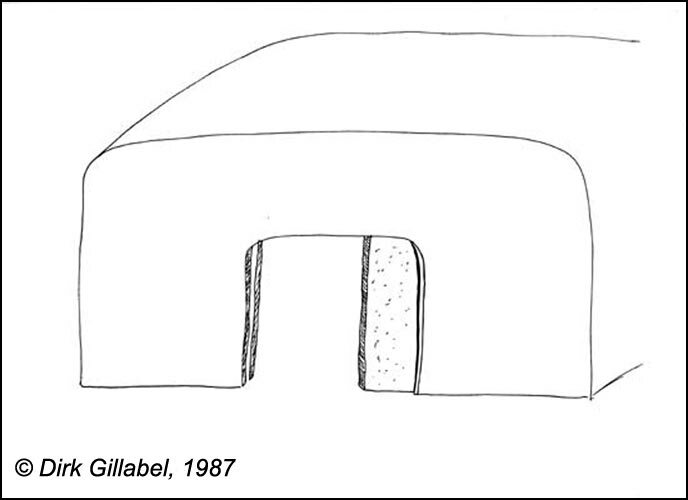 I did not see any pyramids (which does not mean they are not there), but my attention was drawn to a small, rectangular building, with thick stone walls, which had a door opening in the middle of the front wall. The door was also made out of stone, and could slide between the outer and inner wall. Only a quarter of the door was visible. Next I was drawn, with irresistible force, to a doorway of a large building, possibly a temple. 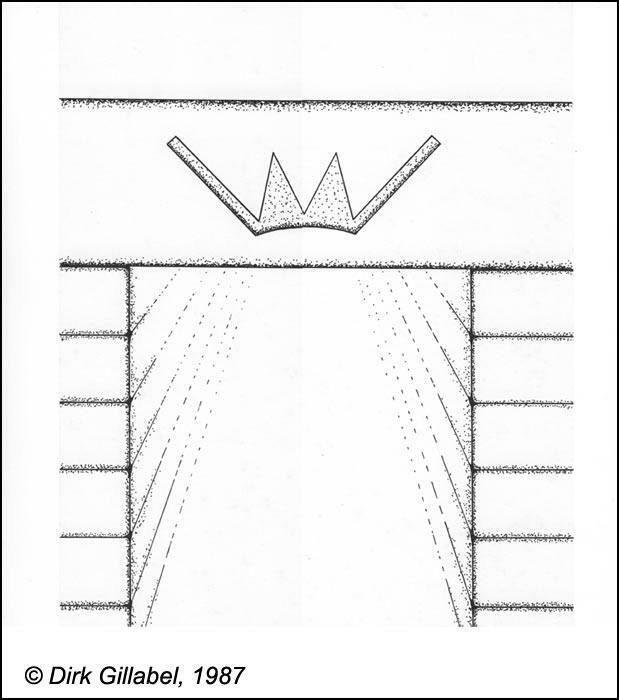 My sight focused to the stone girder on which a kind of hieroglyph had been carved. In the other dream, I was shown a kind of pendant, similar to the ancient Egyptian breast plates. 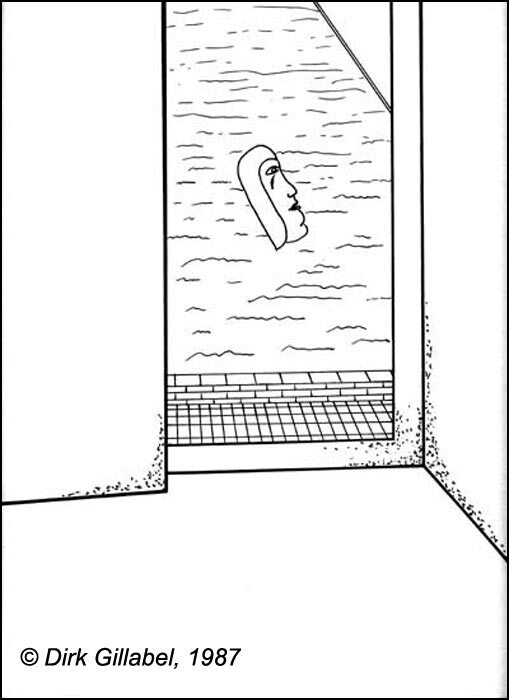 However this one depicted the Face. A voice told me that the Face was the actual face of a man whose nature we would best understand as a Martian Dalai-Lama, in the sense that he was a spiritually highly developed priest-king who led his people in all aspects of society, and who reincarnated again and again to fulfill this duty towards his people. At a later date, I took a copy of the first picture taken by the Viking Orbiter to a former friend of mine, a clairvoyant lady, whose psychic qualities I trust. 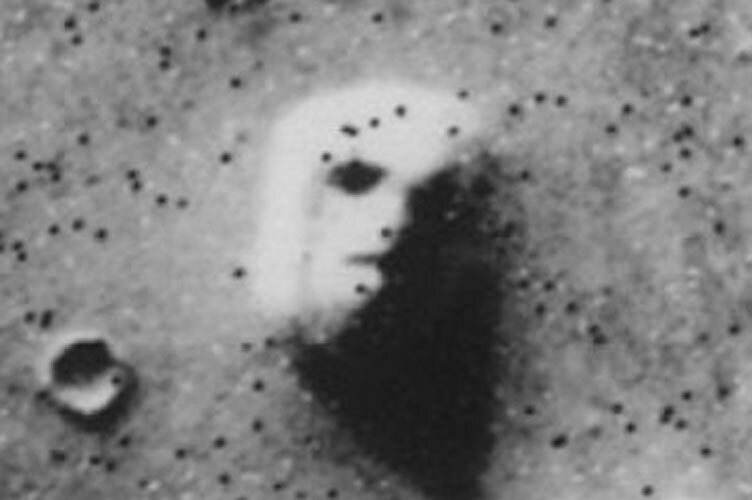 I did not tell her anything about the photo, and she knew nothing about the Face on Mars. This was at a time when there was almost no publicity around this subject. She told me that long time ago, at the place, where they photo was taken, very nice people were living. She got an incredible good feeling about the place. She held the photo in her hands for a long time. She probably saw a lot more, but did not tell me. At that time I was not that inquisitive about it, so I did not press for more information. Sometimes I wonder what other clairvoyant people would come up with. I feel like I am slipping down a rabbit hole and I begin to have immediate sensations of dust in my mouth. A lot of dust. Cascading words come to me, different temperatures touch my skin, my fingers dance over gritty surfaces. I write them all down as quickly as I can. I inhale deeply through my nose. My hands reach out as I move through the session, touching an angled surface jutting from a mound of red sand. Patting and groping the surface like a blind man I feel ridges and sand filled creases. Brief images flit in and out, catching me by surprise and drawing me in while I am also trying to sketch them. Each sensation is like a lifeline pulling me deeper and deeper into the depths of this objective. Other Remote Viewers have sometimes called this, “chasing the signal line”. I just want to open my eyes. Suddenly, without warning, I bi-locate, and I am there, wherever “there” is. I am in two places at once, at my desk and somewhere else, far, far away. At first it’s like I have opened my eyes underwater where everything is shifting and oddly colored, but then it all snaps into place and I see clearly. I am standing in red sand. Red dust. I feel like it’s hard to breathe and there’s a terrible pressure in my head. Looming and monstrous artificial structures made of large stone blocks and covered in red dust crowd around me with the potential to blot out the sun. The sun, what is it about the sun? It seems smaller, more distant … dimmer than I am used to, and covered in a haze. I shift my focus closer to an eroded pyramid shaped structure and the realization of an ancient civilization hits me. So ancient it feels slightly uncomfortable. I can put things into the context of human life and human civilization, from cave men on up to now, but this. This is beyond the human span of time in my experience and it creeps under my skin. I toss my pen down trying to rid this feeling and move on with my session. I drop and drift back down through the motes and haze, settling closer to this gargantuan structure. Where it rises out of the sand there are motifs, low relief designs, reminiscent of the Maya, reminiscent of the Egyptians. Some kind of mysterious cuneiform dances around a massive collapsed entrance with fragments of columns littered about. Darkness spills outside and I can sense the ghosts still lingering in this place, flitting about the debris and shards of a long dead civilization. In the early satellite imaging NASA conducted of the surface of Mars, there was an interesting anomaly, a land form that looked like a face. Around this formation were also what appear to be the edges of pyramid shaped forms. Of course it could all be pareidolia and the scientific community chalked it up as that, but many others did not. This was the first session I ever did on the mysterious Cydonia region of Mars, specifically what is known as that feature called “The Face”. When I received the disclosure on this objective, I was intrigued to say the least. From my own session on it, where I had a bi-location experience, it was clear to me these were ancient ruins. I needed to dig deeper into this and so I began a project tasking the team of Remote Viewers on the same tasking I had done. If they too came back with the same information I had seen, then my plan was to map the region and other anomalies with remote viewing. 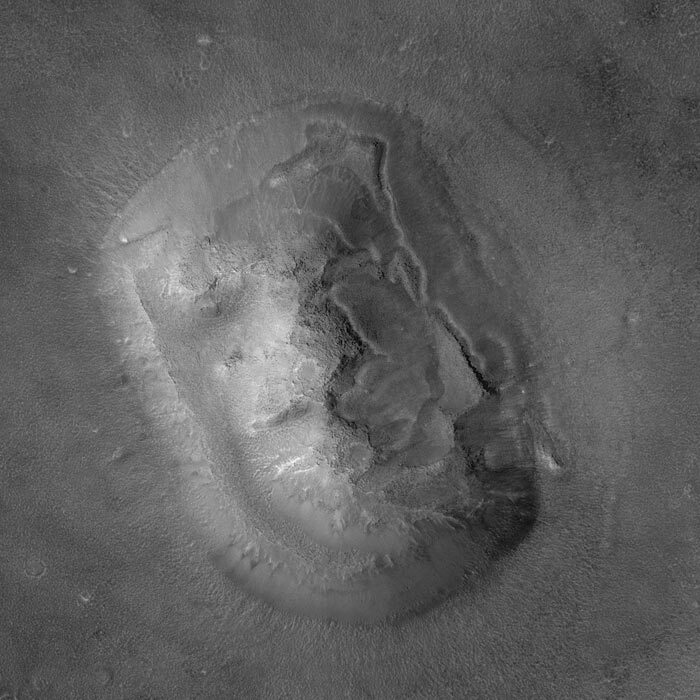 The basic question was non-leading and merely stated: “Describe the formation known as the “Face” in the Cydonia region of Mars” and I included a photo of the formation just to add the full intent. One of the first things a Remote Viewer does when they get an impression of a structure in the beginning of their session is to identify right off, if it is artificial or natural – all of them determined it was artificial. Within their data, they included the same descriptions I had. Cuneiform, collapsed columns and structures so large it defies imagination. Pottery debris and shards littered everywhere on top of, and under the sand. To me, it was so astounding because we have been told for so long there’s nothing there but the minds of crazy conspiracy theorists. After that I began to map out the area, from what’s currently there, who built them, what they looked like, what their culture was like, what happened to Mars, and inevitably them. It’s a saga of epic proportions and so fascinating that my pen can’t even begin to describe the reality of it. The Cydonia region, in its biological heyday, sat on the edge of a vast ocean where plants, animals and humanoids lived and flourished. This was at least one of their cultural meccas and seats of power in the time they had. These Martians would often pilgrimage to this location during certain times of the year where some would, in a sense, “suicide” themselves, so they could be part of something greater. It’s much like the stories we have from our ancient cultures about sacrificing a virgin to appease a god. In fact, a lot of the data we get back relating to the culture and symbols for these Martians, reminds Remote Viewers of ancient cultures on Earth. There are so many similarities that you really begin to wonder if they somehow had an impact on Earth cultures. Mars went through an obvious geologic shift which decimated everything on the planet, and it happened rather quickly and violently. It appears, through remote viewing data, that it was twofold. An outside event which caused a massive energy wave knocked the planet off its axis and created a severe pole shift, quickly turning it into a completely desolate planet. If you look at the satellite imagery that NASA has conducted on Mars, as well as the rovers that have imaged areas on the surface, there are quite a few anomalies which are either explained away or just shoved under the carpet. When you place the tool of remote viewing up against these you find that some are absolutely mundane, and some are truly unique. My opinion is that Mars is littered with debris from this past civilization and NASA, among other agencies, know this as fact. I suppose, if it suits them to let us know this culture was there, then, and only then, will they let people know. This entry was posted in Aliens, Ancient Civilizations, cosmic beings, past lives and tagged Cydonia, dreams. ruins, experiences, Face, Mars, NASA, planet, psychic, pyramids, spiritual. Bookmark the permalink.